The 1981 Topps baseball card set consist of 726 standard size cards that measure 2½" by 3½". The subsets in the 1981 Topps baseball cards include the league leaders (1-8), record breakers (201-208), and team cards with checklists on the back (661-686).The key rookie cards from this set include #315 Kirk Gibson, #347 Harold Baines, and #302 Fernando Valenzuela. 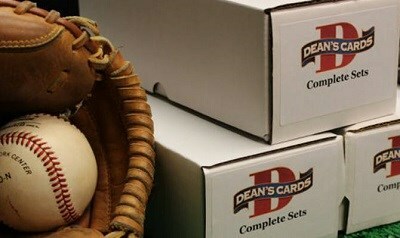 This set is very condition sensitive because of centering issues and rough cut edges. Cards in "Near Mint/Mint" are very difficult to find. Showing 1 to 100 of 728 products.